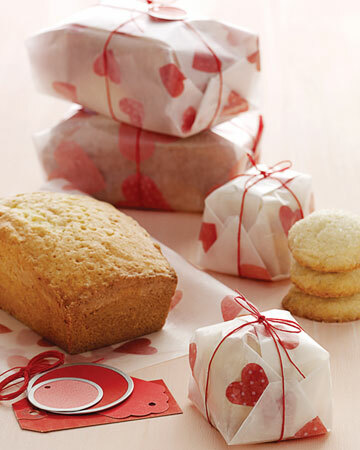 I found some great ideas for packaging homemade Valentine treats over at Martha Stewart.com…there are 13 different ideas altogether and I thought I’d show you a few of my favorites! The photos I’m posting are all from Martha’s website. Anyone would love getting some sweet treats wrapped up like these for Valentine’s Day! 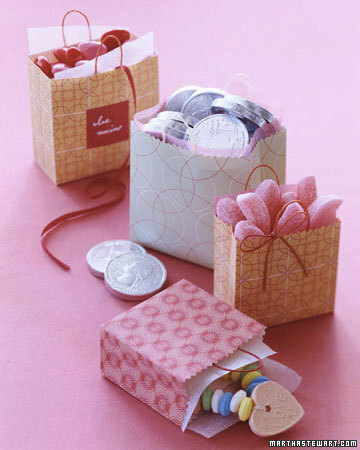 I love this idea for homemade heart-covered treat wrappers! You can use these for wrapping sweet breads, stacks of cookies, or whatever other goodies you’re wanting to give. To make the wrapper, just fold a piece of red or pink tissue paper in half three times, forming eight layers; then use a heart-shaped craft punch to cut out hearts (or you could cut the hearts out free-form with scissors if you want to make your own heart shapes). Cover the surface of your ironing board with paper towels and place a sheet of wax paper on top. 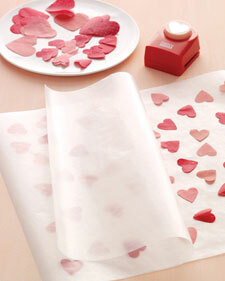 Then arrange the cut-out tissue hearts on the waxed paper and cover with another sheet of wax paper. Run an iron (set on medium heat) lightly over the layers of paper to set. If you don’t want to use waxed paper, you could purchase some cello wrap, tinted pink or red (or even clear) and use that to wrap up your goodies. Tie your sweet bundles up with some waxed twine in red or pink, some red raffia, or some pretty ribbon (1/8″ to 1/4″ wide would work) and add a cute little gift tag if you want. You can download some fun Valentine gift tag designs for free at Heather Bullard.com…click HERE to see them! The tags also look great used with treat bags the way Heather has shown them. 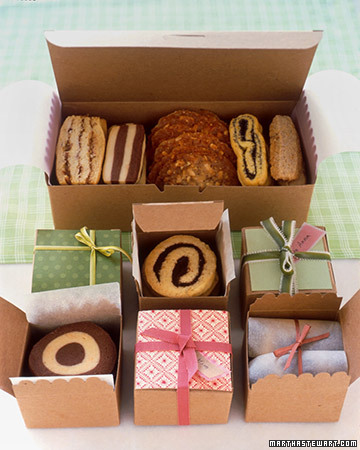 You can just buy standard white or brown paper boxes and place your cookies in individual cupcake liners (if you need jumbo liners, you should be able to find plain white ones at your local craft store in the baking supply section; Wal-Mart carries them, too). Tie up the boxes with pretty ribbon, and you’re done! There is a free template on Martha’s site that you can download with the 3 patterns shown above. Just follow the instructions for putting them together and fill them up with candy or other goodies. Hope this gives you some inspiration for your Valentine’s Day treat-giving! 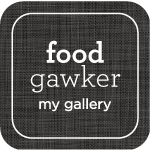 This entry was posted in Creative Gift-Giving, Food Gifts, Seasonal, Valentine's Day and tagged food gifts, gift-giving, Martha Stewart, Valentine's Day on February 1, 2011 by nancyc.